Altered Carbon, the science-fiction/ cyberpunk show that is among the latest offerings from Netflix, has ignited a conversation online that has divided people. Some have accused the show of giving into whitewashing like the rest of Hollywood, while others have stated that this is not the case. Personally, this author agrees with the latter. Altered Carbon is adapted from a book by Richard Morgan, which is set in a future where technology allows people to go body-hopping – their consciousness can be transferred into other bodies, known as ‘sleeves’. This is what happens with our hero Takeshi Kovacs, a biracial man who wakes up in the body of a white man played by Joel Kinnaman. The TV show is true to this plotline. In flashbacks that details Kovacs’ life, he is played by Asian characters, with actor Will Yun Lee playing the original sleeve. Whitewashing thus seems to be a harsh and wrong label placed on the show, and I would go as far as to say that those who believe that the white Kovacs was given precedence (thus making it close to whitewashing) are also wrong. Having seen the entire first season, I felt that the progression of the story was natural, and the gradual unravelling of Takeshi’s past life explains why the Asian character was given less time. The only issue I had was that the two Takeshis did not really feel like one person in their personality. In fact, compared to Hollywood standards, Netflix does a better job at representation than many of its entertainment counterparts. People of color, diverse sexual orientation and ethnic and religious backgrounds find great storylines in both critically acclaimed shows and hidden gems such as Sense8, Dear White People, Master of None and the like. Whitewashing is a valid label when it truly takes away from a story when a white actor is cast in place of a person of color. A stellar example of this is the gigantic mess that was the Hollywood adaptation of Ghost in the Shell. 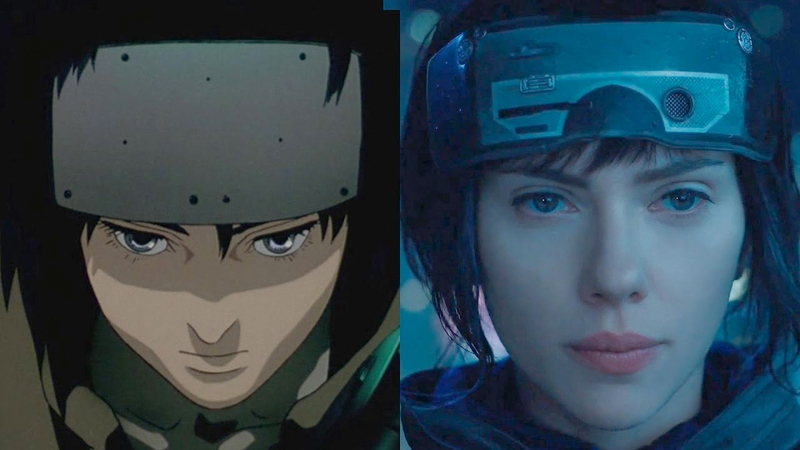 The movie kept everything inspired by futuristic Asia and Japan in the movie background, but cast Scarlett Johansson for the lead role. In the end (spoiler alert), the protagonist Killian discovers her true identity that she lost when her consciousness was integrated with an artificial body – that of an Asian girl, Motoko. Yep, the movie did that. In making a jumbled, so called ‘multicultural’ future, the movie did nothing more than take away the deeper philosophical ponderings of the original manga that made it such a beloved read in the first place. Representation issues are however, not just limited to the people of color. Take psychological disorders for example. A lot of movies and shows such as Black Swan, A Beautiful Mind, You’re the Worst and Homeland have depicted mental illness in a very real way, blending together good storylines and accurate depictions for an overall great watch. Yet at the same time, we have had so many shows whose portrayal of mental health issues has been plain wrong. But more than these depictions, it is the reasons behind them that are problematic. Moving the plot on or giving it a surprise, making a character ‘edgy’ or ‘interesting’ and even anticipating negative publicity to draw in more viewers are just some of the reasons in favour of which accurate portrayal is ditched. In a highly competitive industry were more viewers means profit, sensationalizing psychological issues such as alcoholism, social anxiety, depression and eating disorders is just another assumed necessity. Then there is the misrepresentation. When cast, Asian characters for example, are often forced into stereotypical roles. So you have the older Dragon Lady, the Kung-Fu master, the young male nerd comic relief or the fetishized young Asian girl. The same happens with people of Middle Eastern descent (or anyone who vaguely looks like them) and the role of a terrorist. Even white actresses are often cast into the Manic Pixie Girl role, where they are nothing more than emotional and philosophical instruments to push on a generic male lead towards a slightly happier life. These tropes not only fly in the fact of acting abilities, they also add nothing to stories. Yet they are present in so many movies that we become blind to them. Another strand of representation that is important to consider is that of true representation – should we be content only when certain basic criteria are met, or should we demand more? Here comes the issue of characters being represented by their true life counterparts. And so, gay men should play gay men, differently abled should play differently abled people, and ethnic castings should not just stop at Asian; if a character is Japanese, a part Chinese or Korean actor would not do. The idea here is that media is a mirror of reality and while it is allowed to distort that reality a little, viewers should get accurate representation of a particular community to the greatest extent possible, and such actors will lend to stories a degree of authenticity that would elevate narration. There are certainly enough actors around to fit this bill, so why not do it? Defences for the lack of representation often come in the form of one argument. In the end, movie and TV making is a business with profits and livelihoods on the line. Thus, studios would rather throw their lot with a well known, bankable (and white) and face the ire of some than to risk a new actor. This argument has been adequately disproven by many a box office bombs. The situation is gradually improving, largely with the realization of the potential markets. But there is still a long way to go. And while grumbling on the internet may seem very useless, sometimes it does have an effect – one of the biggest studios in the world, Disney, an example. Following the casting controversy over the live adaptation of Aladdin, a Chinese actress has been roped in to play Mulan. Hopefully, this trend will continue.